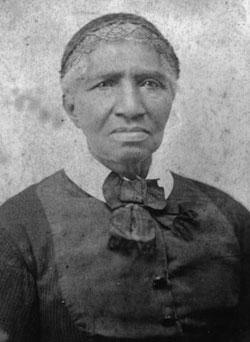 Clara Brown walked most of the dusty, hot and miserable eight-week 700-mile journey, arriving at Denver in June 1859. 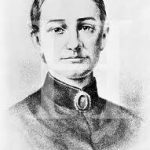 She was Denver’s first black woman resident, and she is believed to be the first African American woman involved in the Colorado Gold Rush. Everywhere she went she opened a laundry shop, and Denver was no exception. The Colorado Gold Rush (sometimes called Pike’s Peak Gold Rush) was the boom in mining that began in July 1858 and lasted until February 1861. An estimated 100,000 gold miner wannabes participated in one of the greatest gold rushes in American history; they were known as Fifty-Niners for the busiest year of the rush. Brown collected whatever gold dust came out of the miners’ pockets and made extra money by cooking and cleaning for the miners, working long hours and denying herself any luxuries. 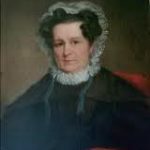 With her saved earnings she funded the construction of St. James Methodist Church, and she was one of the founding members of the first Sunday school in existence, using her home as the classroom. 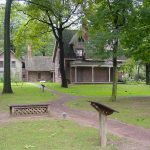 By age eighty Brown’s funds were depleted due to monies spent on charitable contributions and efforts to find her family. When she could no longer sustain the higher altitude, Brown moved to Denver and lived in the home of a friend. 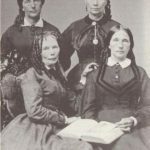 After years of writing letters to officials in various locations, in 1882 Brown received news that a black woman named Eliza Jane was living in Council Bluffs, Iowa, who was about the right age to be Clara’s daughter. Clara immediately traveled there to see if this woman was her Eliza Jane; miraculously, it was! The story of this heartwarming reunion was published by newspapers throughout the west. 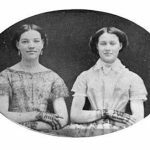 The Council Bluffs Nonpareil reported on March 4, 1882 that Brown was “still strong, vigorous, tall, her hair thickly streaked with gray, her face kind.” The two women returned to Denver and lived there together until Clara’s death. The early pioneer came to a silent wilderness. He took hold of the territory ‘in the raw.’ He had nothing but his hands, his energy and his courage to start a new civilization in the wilderness. A plaque commemorating the life of Clara Brown hangs at St. James Methodist Church in Central City, stating that her home had served as the first church in Central City. In 1930, a chair in the Central City Opera House was installed in her honor. 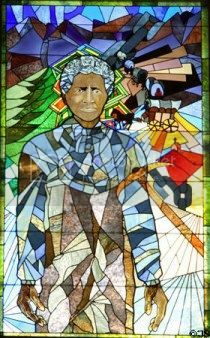 Clara’s life and achievements were commemorated with a stained glass portrait of her in the Old Supreme Court Chambers of the state capitol in 1977. Clara Brown is considered “one of the 100 most influential women in the history of Colorado.” She was inducted into the Colorado Women’s Hall of Fame in 1989. In 2003, an opera was written about her life, called Gabriel’s Daughter. It debuted in Central City, Colorado.